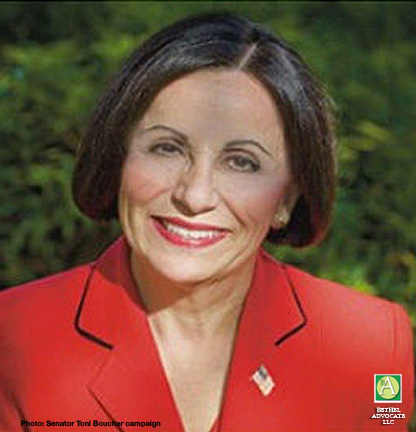 (Wilton, August 29) State Senator Toni Boucher (R-26), was today endorsed by Connecticut Realtors, which represents 17,000 members involved in all aspects of real estate in Connecticut. A statement from Michael Barbaro, President of Connecticut Realtors, read “Dear Senator Boucher, on behalf of Connecticut REALTORS®, which represents 17,000 members involved in all aspects of real estate in Connecticut, we are pleased to relay our Association has voted to endorse your candidacy for Connecticut’s 26th State Senate District. “The Association carefully evaluates candidates in determining who may best ensure there is a positive environment for living in or transferring property in Connecticut. Real estate is essential to economic recovery and stability in the state and the nation, and helps to build communities. “Thank you for your commitment to serve, and we wish you all the best in the election,” he concluded. Senator Boucher is Senate Chief Deputy Majority Leader, Co-Chair of the Education and Transportation Committees and Vice Chair of the Finance, Revenue and Bonding Committee. She represents the 26th Senate district which comprises Bethel, New Canaan, Redding, Ridgefield, Weston, Westport and Wilton.